The Line's Look Back at 2013: A Year in Music | Best of the Year! Many of the same albums show at the top of most lists. When you combine the genres, albums by Vampire Weekend, Kanye West, Phosphorescent, Kacey Musgraves, Haim, Ashley Monroe, The National, David Bowie, Arctic Monkeys, Kurt Vile, Lorde, Arcade Fire, Jason Isbell and others, all have made appearances on different lists in both magazines and online. Two nice additions to the 100 Best Albums of 2013 by Amazon was “Glow” by Louisiana’s own Royal Teeth and “Cut to Impress” by Maggie Rose. (This Maryland born singer, who now lives in Nashville, began singing professionally while still in her teens and frequently performed with a Bruce Springsteen cover band called “The B Street Band.”). Time Magazine’s Top Ten had Alex Chilton’s “Electricity by Candlelight: NYC 2/13/97″ at #6. What a great find! It’s a recorded second set of a show at the Knitting Factory in New York City where the late, great Alex Chilton continued to perform, even after the power went off, using candle light for the remainder of the show. How cool is that! (And, speaking of the Memphis born Alex Chilton [The Box Tops and Big Star] who died in New Orleans in 2010; the documentary film about his former band “Big Star: Nothing Can Hurt Me” got much attention in 2013. It had originally appeared at Austin’s SXSW in 2012.) Needless to say, The Southland Music Line, who searches for great music, is happy to see so much attention being given to bands and artists from or based out of The South. There are many great albums worth mentioning by bands and artists who call their home “The South” or decided to head South to further their music careers. Having followed the band since 2012, it was great to see their debut released in early 2013. 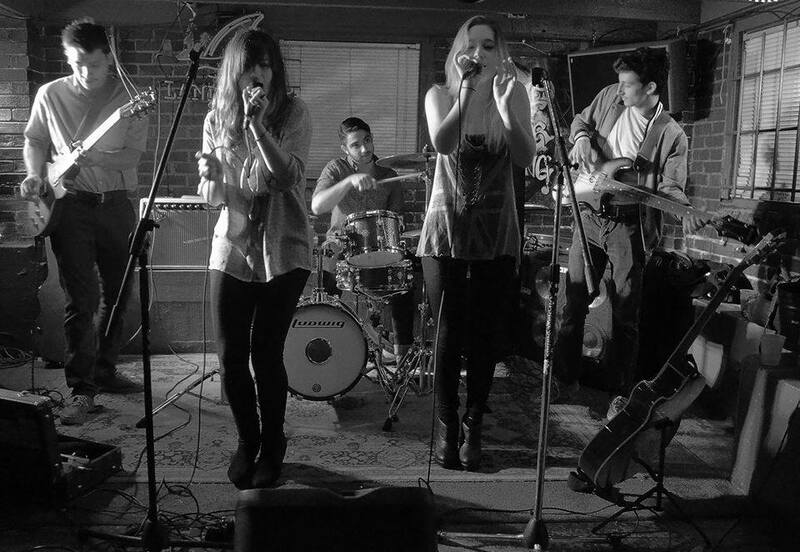 Escondido, a band based out of Nashville, got my attention with their video “Bad Without You” and quickly became a top interest for The Southland Music Line. I thought the video for the song has a cool resemblance to a David Lynch movie. When I met Jessica Maros and Tyler James, of Escondido, I relayed my thoughts to them about their video. Later in the year the film director, David Lynch, made a highly praising mention of them on Twitter and later in Mojo Magazine. At times their song “Bad Without You” has the Chris Issak song “Baby Did a Bad, Bad Thing” vibe. Throughout the entire album, singer Jessica Maros’ vocals are a cross between Hope Sandoval of Mazzy Star and Sheryl Crow. Tyler James is truly gifted and provides a rich Southwestern mood to the band’s music. It’s like a Rock soundtrack to a Sergio Leone Spaghetti Western. Nothing quite like it has been done before, and it only makes you want more from this band. I had the opportunity see them live in 2013, once on a memorable rainy evening in Birmingham, AL and a second time in Lynchburg, VA. (Appropriately, in a place called Lynchburg as in David Lynch and in October as in their song “Cold October” which they had performed earlier in the year on Conan Obrien’s TV show. )” The Line” highly recommends that you check this band and album out. The new songs from the upcoming album are equally as good. A former member of the “Drive By Truckers” from Green Hill, AL, Jason Isbell, gave us one of the best albums, not only of 2013, but also in The Line’s opinion, of the last few years. This fourth solo release from Isbell has made frequent “best of” lists and it’s easy to see why ‘American Songwriters’ said it’s the best album of the year. The songs are so rich and real. How refreshing to see a songwriter/performer, not only take on such real subjects, but also when performing them, whether recorded or live, pull you so deeply into the songs! 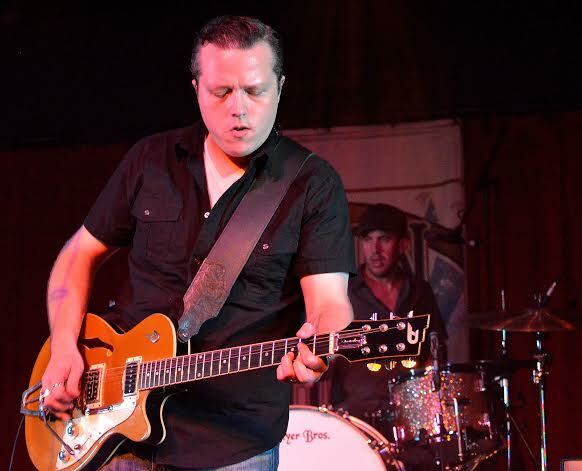 Jason Isbell has that ability and “Southeastern” has greatness written all over it. From artists like Jason Isbell or Escondido, it’s encouraging to know there is still plenty of fresh, extraordinary music ‘out there’ and much promise for Popular Music. 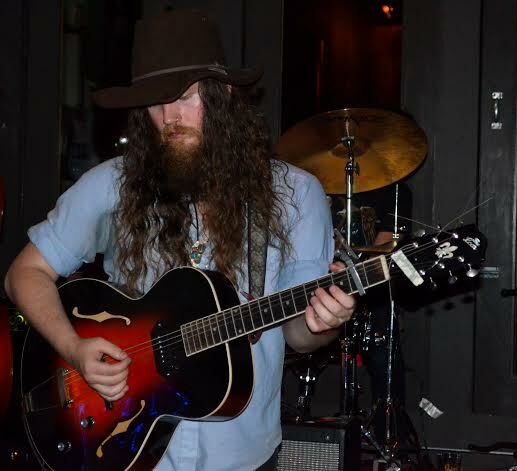 If you live anywhere near southern Alabama, there’s a great chance you’ve heard or read something about the band, Willie Sugarcapps. 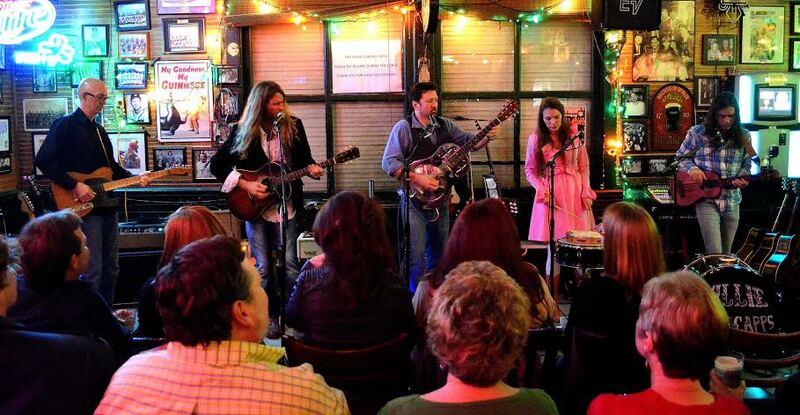 The band is made up of Anthony and Savana Lee Crawford of Sugarcane Jane, Will Kimbrough, Grayson Capps and Corky Hughes. These are five incredibly talented musicians, songwriters and performers with an amazing music resume. They’ve been highlighted by some of the best magazines that discuss Americana music from the area and nationally. 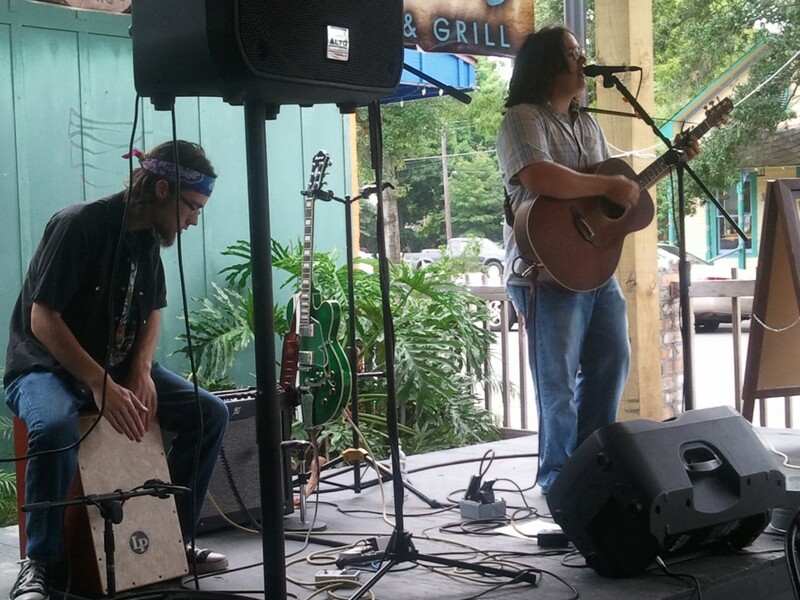 One definition of them posted on their Facebook page calls their music “Deep Southern Gulf Coast Country Blues, Folk Rock, Stomp-n-Roll!” One thing, for sure, it’s GREAT music! Each member has his/her own very successful music career outside of Willie Sugarcapps, but this combining of talents is a true pleasure to listen to and, by all means, to see live. The joining together of these musicians at The Frog Pond at Blue Moon Farm (a highly popular place in Southern Alabama where some of the best musicians in the country get together) led to this perfect combination that brings these five very distinct artists together to give us one of the year’s best albums. As the Grammy Awards approach, The Southland Music Line is excited to see an artist like Kacey Musgraves receive such well deserved attention with four nominations, including one for ‘Best New Artist’. The album “Same Trailer Different Park” not only has one of the best album titles of the year, but is truly one of the year’s greatest releases. Along with a nomination for Best New Artist, two songs are up for Country Song of the Year, and “Same Trailer Different Park” got nominated for Country Album of the Year. Kacey’s album has made the majority of year end “best of” lists and she has proven herself to most music critics and fans alike. When I met Kacey Musgraves a few years ago I knew she was really talented, so it’s so nice to see this kind of success come her way. It’s so well deserved. 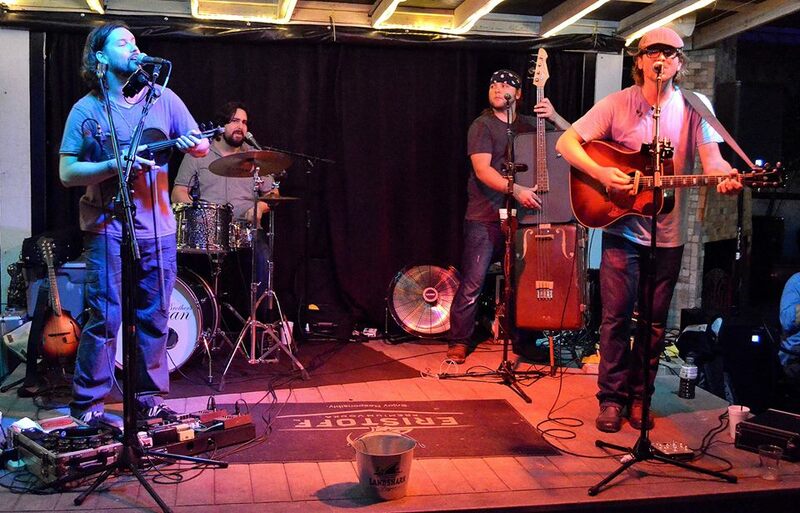 Just like Willie Sugarcapps (mentioned earlier), The Mulligan Brothers: Ross Newell (vocals, guitar), Gram Rea (vocals, fiddle, mandolin and harmonica), Greg Deluca (vocals, drums) & Ben Leininger (vocals, Suitcase Bass) have become a real crowd pleaser to the area they call home. Coming from Mobile, AL and Baton Rouge, LA they have received the highest of praise from local magazines and websites. The first time I heard about The Mulligan Brothers was from photographer Stephen Anderson. Stephen had recently borrowed The Mulligan Brothers 2013 debut album from a good friend at Jacks by the Tracks (a Pascagoula, MS music venue/restaurant). He and I eventually went to see the band in Mobile, AL, but weren’t able to sit through the entire set, not because it was a bad show, but rather because there were so many younger fans at that particular venue. These fans knew each of The Mulligan Brothers original songs by heart and proceeded to sing along with the band on each one, prohibiting Stephen and I from enjoying the band’s talent. A week later we saw them again, but this time at a venue that allowed us to enjoy the show and appreciate these four guys’ amazing talent. The original songwriting is one of their strong points, but at the same time they do a wide range of cover songs that they make their own. A personal favorite cover is one of Bruce Springsteen’s “Atlantic City”. Since the first time I saw them, and I’ve seen them many more times, the quality of their original music stands out. This has proven true throughout their 2013 release and is absolutely why it is one of the year’s best albums according to The Southland Music Line. I first met Singer/Songwriter David Locklear, from DeRidder, LA in 2012 at an open mic night after Jason Sanford and Emily Sholes of Rosco Bandana introduced us. I found out that David had been selected for the highly successful television show “The Voice” and, given the level of competition, had done well. As the night continued, each time he performed, it became clear that this young man had incredible talent; he just needed more experience. Since then David has earned his way and has grown. David, with his smooth vocals and amazing guitar skills, has done well on the Louisiana Indie Charts and has toured throughout the region. He has performed for The Troops at Fort Polk, LA and has teamed up with other musicians, like Steve Wilson from Bon Weir, Texas, carving out a promising career. He, Steve and Zach Faulk also make up the band, Tempura Cool, which can be seen performing all over The South. David’s debut EP “True Love” recorded at 4 Dog Studios in Louisiana is easy on the ears and an enjoyment to listen to. His debut full length CD is to be released in early 2014. There are times when searching for great music, that a band comes along thats easy to become a fan of. That’s what happened the first time I saw one of the hardest working, traveling bands around. Banditos are originally from Birmingham, AL, but now are based out of Nashville. The first time I had the privilege of seeing them was at The East Bank Pub in Pascagoula, MS. This small, but lively, venue is a Banditos favorite and a regular stop when passing through the area. They are a band that seems to use all their middle names in most bios, so here goes: Timothy Steven Corey Parsons (Vocals, Guitar), Stephen Alan Pierce II (Vocals, Banjo), Mary Beth Richardson (Vocals, Tambourine), Randy Taylor Wade (Percussion), Jeffery Daniel Vines (Upright Bass) and Jeffery David Salter (Electric Guitar, Lap Steel) are all members of the band, Banditos. One hears a wide range of influences in their music, but they create something very much their own. Mary’s vocals are exactly what you would want from such a great Southern band. I’m not going to compare her to singers that shes likely compared to often, but I will say she is a ‘secret weapon’ when it comes to her great voice. It perfectly fits in with the band’s great music, which can blow off any tin roof across the South. Hypnotic harmonies, rocking guitars and pounding drums help define one the best bands from New Orleans, LA , and the region. The Wooden Wings are made up of Molly Portier (Vocals & Guitar), Cherie LeJeune (Vocals & Guitar), Harry Rosenberg (Lead guitar), Albert Moliere (Bass) and Anthony Mikhael (Drums). They have been one of my favorite bands from the area for a couple years. Ben Kaufman of Irish Coast Pub in Gulfport, MS first told me about them. 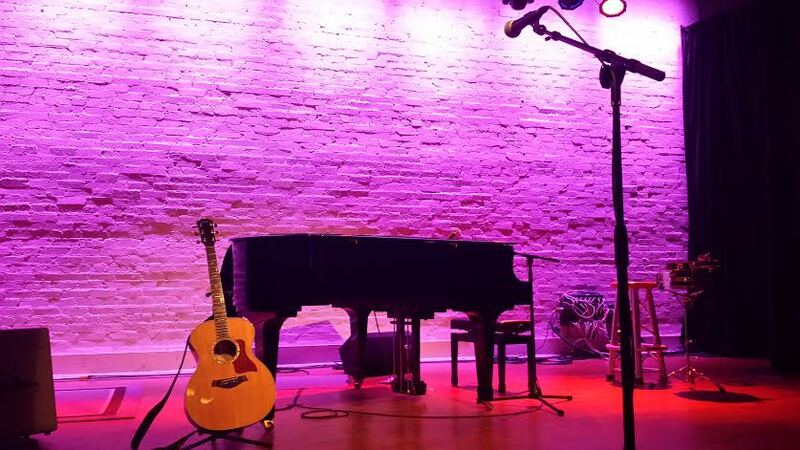 They were to perform at his place on a Saturday night, but before, on Friday night Molly and Cherie were to do an acoustic show without the guys at The Julep Room in nearby Ocean Springs, MS., a place that has an Elvis connection to the 1950s. After hearing good things about The Wooden Wings, I knew I wanted to see them. I did arrive on Friday night, but was late for the show, though both Molly and Cherie couldn’t have been any nicer. They gave me their CD’s and invited me to see them on Saturday night at Irish Coast Pub. I attended the show, which became the first of many Wooden Wings’ shows I have had the privilege of seeing. During 2013, The Wooden Wings embarked on a tour of the Eastern and Midwest part of the Country. Once they returned to New Orleans, I saw a band that was even better than before. The two part harmonies by Molly and Cherie has, at times, reminded me of the Swedish sister-duo of “First Aid Kit”. It was enjoyable to discover that they enjoyed First Aid Kit’s music too. I’m happy to see how The Wooden Wings have continued to evolve. Their wings really have expanded and I expect they will continue to do so. Kaboom, comprised of Dustin Kahlil (vocals, synth, guitar), Steve Mills (guitar, vocals), Ben Kaufman (bass, vocals) and Scott Andersen (drums, vocals), finished in the Top 10 at the Hard Rock Rising global Battle of the Bands contest that included over 9,000 bands. Kaboom has a unique originality to them, yet the influence of some of Rock’s classic best can be felt within their music. Their album “Disco Dust” is full of songs that linger with you long after they are heard, a sign of great music. The original material is ‘out of this world’ cool, yet they do one of the best covers of “Psycho Killer” by Talking Heads I’ve ever heard. The band seems determined to reach their goals in music. When describing Kaboom, the following comes to mind: “Giorgio Moroder -MEETS- the 1970s CBGB sounds of Blondie & Talking Heads -MEETS- the New York City Dance Life Scene of Studio 54 -MEETS-the literary works of H.G. Wells and Jules Verne”……Maybe better put: IT’S LIKE AS IF ‘DOCTOR WHO’ WAS A GREAT ROCK MUSICIAN”. The Southland Music Line sees great things ahead for this band. Go to iTunes and Download Their Latest “Disco Dust“. The Southland Music Line first discovered this talented, young woman, originally from Pahrump, Nevada (now living in Nashville), a few years ago. She was only in her mid-teens, but so determined to make her way to Nashville and a career in Country Music. She buckled down with hard work and completed high school early at age 16. She and her supportive family then headed to Nashville. Since then she has been busy writing her own music and performing all over the Nashville area including The Listening Room Cafe. She recently performed at the Mandalay Bay Events Center in Las Vegas and was #1 on ReverbNation Country Charts in her area. This past fall she was named “Spotlight Artist Of the Week” on American Veterans Radio. Her song, “Girls Are Heroes Too,” received the appreciation of many women who serve in the military. Other songs by Kelcy are “Welcome To My Rebel Side” and “Hard To Be A Girl”. 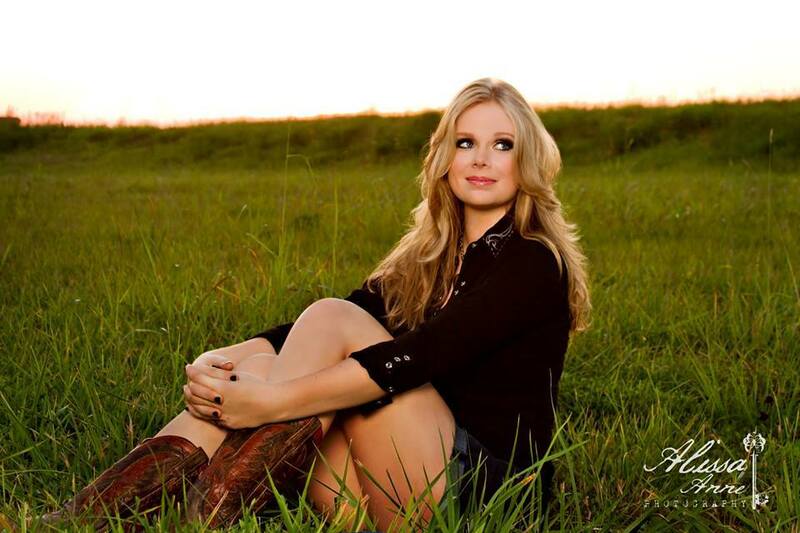 Sure there are many girls that head to Nashville on a daily basis with hopes of being the next ‘big thing’- the next Carrie Underwood, Taylor Swift or Kacey Musgraves, and I’m sure Kelcy dreams of reaching the kind of success they have received. That’s only normal, but what I see in her that I appreciate, is she knows it takes hard work, determination and being unwilling to give up on a dream. 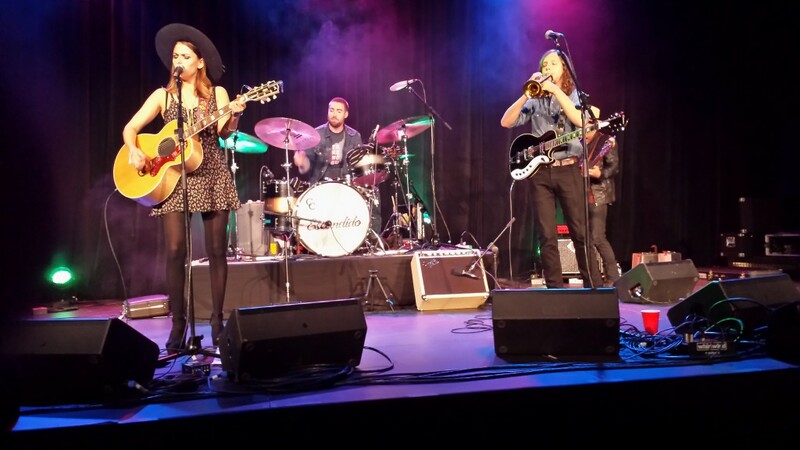 The Southland Music Line is looking forward to see what’s next for Kelcy, and we are not giving up on her either. Obviously there are many more incredibly gifted and talented bands and artists that could be mentioned, and throughout 2014, we will definitely be highlighting various ones and hopefully encouraging others to check them out. I travel all over searching for great music venues and Mark Garrison’s “Jacks by the Tracks” is a favorite. This unique and inviting place is a “real find”. It’s like coming home whenever I walk though the doors, especially when Sugarcane Jane, Blue Mother Tupelo, Grayson Capps, Grace Askew, Fat Man Squeeze, Cowboy Johnson, Johnny B. & Blue Lu, Truitt Williams and many others are performing. “Jacks” gets tons of amazing bands and artists from Nashville, Memphis, Austin, the Gulf Coast region and elsewhere to perform on it’s stage. 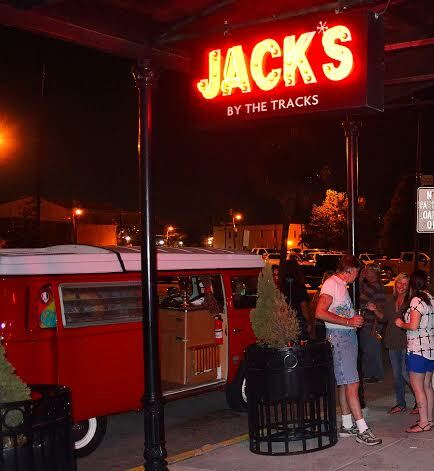 Often local favorites can be seen sitting in, enjoying the company and hospitality of “Jacks”. All of these things and more, make this one of my most visited music venues in 2013. 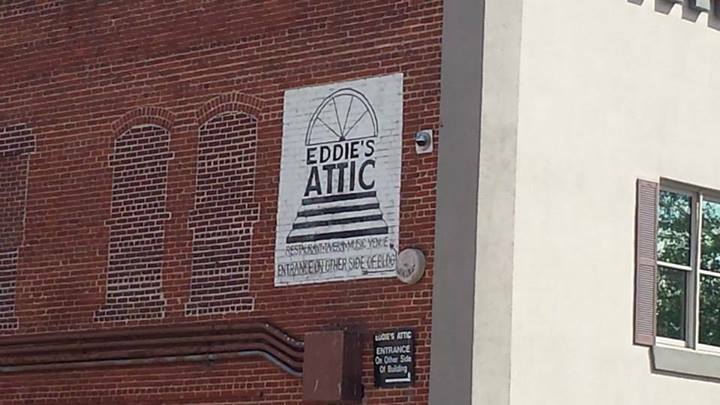 Some of the best bands that tour through the South often find their way to Eddie’s Attic in Decatur, GA (near Atlanta). Definitely a favorite venue amongst musicians and fans alike. To be up close and personal, Duling Hall, has become one of the foremost places to see fantastic concerts in The South. 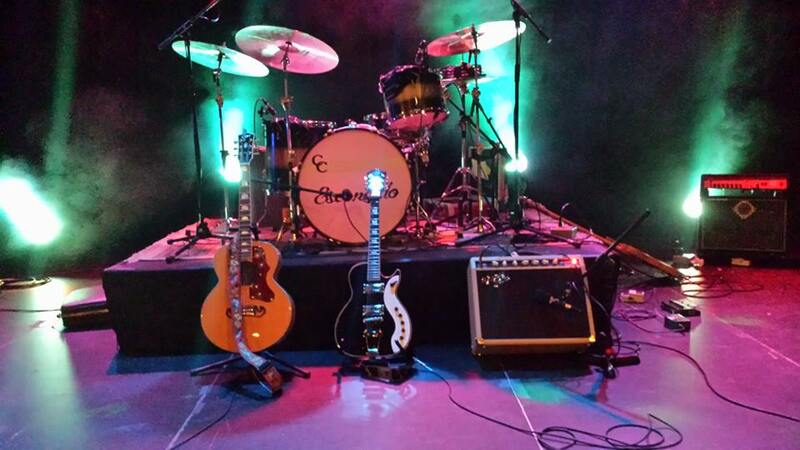 A growing list of bands and artists are making their way to this stage. Most recently, in November, I was fortunate enough to see Rickie Lee Jones in her first concert in Mississippi, after such a long and remarkable career. When you travel from town to town in search of great music venues, you sometimes find it is just around the corner. This Gulfport, MS pub and music venue has that neighborhood appeal to it along with, of course, providing awesome music. Since the first time I walked through the door of Ben Kaufman’s “Irish Coast Pub”, I knew I was going to enjoy this place. Since 2012, I have seen numerous bands and artists here and have made some long lasting friendships. When seeing live music in the Atlanta, GA area “The Tabernacle” (known to music fans as “The Tabby”) is one of the best. This former church, turned music hall, is located directly across from Centennial Olympic Park. It served in 1996-1997 as a House of Blues location centered around the 1996 Atlanta Summer Olympic Games. Since 1998 it has continued to provide The Southeast with incredible live music. Many top bands and artists have performed at The Tabernacle, giving it an acclaimed reputation. It has won countless honors, and both Paste Magazine and Rolling Stone have named it one of America’s primo music venues. Some venues don’t have to be huge in size nor flashy in style to be outstanding. The Julep Room has that comfortable, neighborhood feel to it and has seen some of the area’s best. What I have found to be true about The Julep Room is that musicians love to play here and they keep coming back. You know that The Julep Room’s Michael Shaffer loves music because he books a nice variety. When he tells you to come see a certain band, it’s a good idea to listen to him because he knows what he’s talking about. 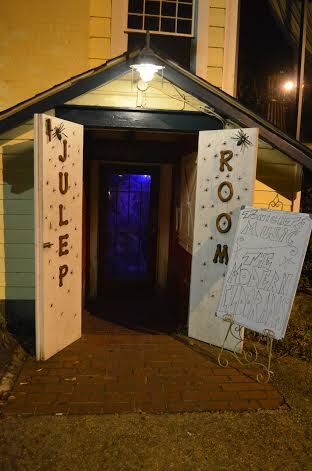 The Julep Room, which has an Elvis connection from the 1950′s when he often spent time on the Mississippi Gulf Coast, has patrons who return often. It’s easy to see why – there are few places like it anywhere. Nestled under huge Live Oak trees and located beneath an old Southern home, turned restaurant, with an entrance on the side, The Julep Room has an amazing view overlooking the bayou in the picturesque seaside community of Ocean Springs, MS. This venue is easily one of “The Line’s” favorite on the Ms Gulf Coast. When one thinks of the Athens, GA Music Scene, they might think of bands like R.E.M. or B52s and understandably so. 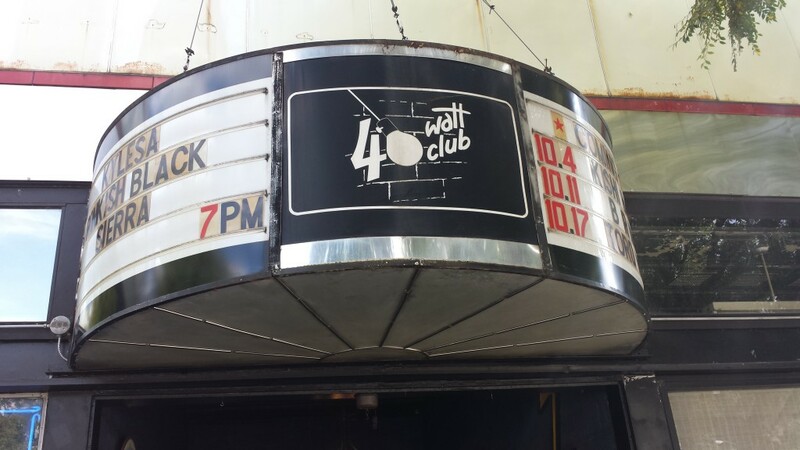 But the 40 Watt Club has also carved it’s way into the minds and hearts of many throughout the years, making it one of the ten most famous music venues in the country. This is a real favorite of The Southland Music Line. Government Street in Ocean Springs, MS has become home to many good music venues, pubs and taverns, restaurants and appealing shops and stores. Places like Leo’s and The Government Street Grocery are regular stops for touring bands and artists as they travel through the South. 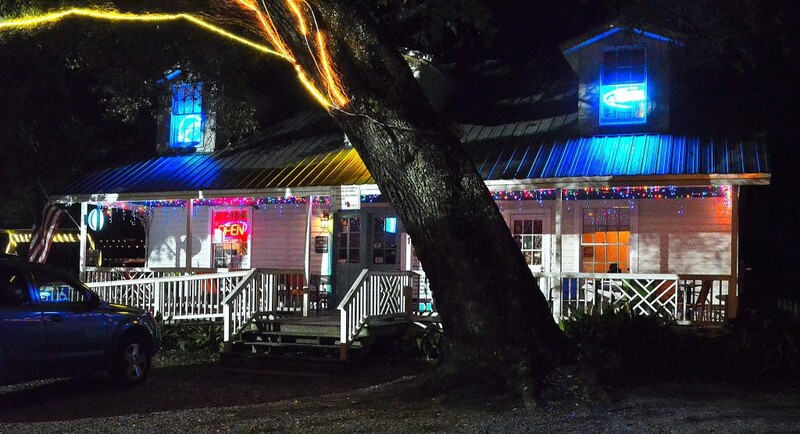 Just down the street is Mezo’s Juke Joint, which is an old Southern home turned music venue. One of the unique things about Mezo’s is its outdoor stage located in the back. Beneath the huge oak trees and southern sky musicians do what they do best. The Southland Music Line (“The Line”) highly recommends Mezo’s. Nashville is home to some of America’s best music. Many venues from the area could easily be mentioned here in more detail, but I had to list at least one. When looking for up and coming bands, The Basement is an excellent place to start. Tagged Music News, Southern Music Scene, Southern Music Venues. 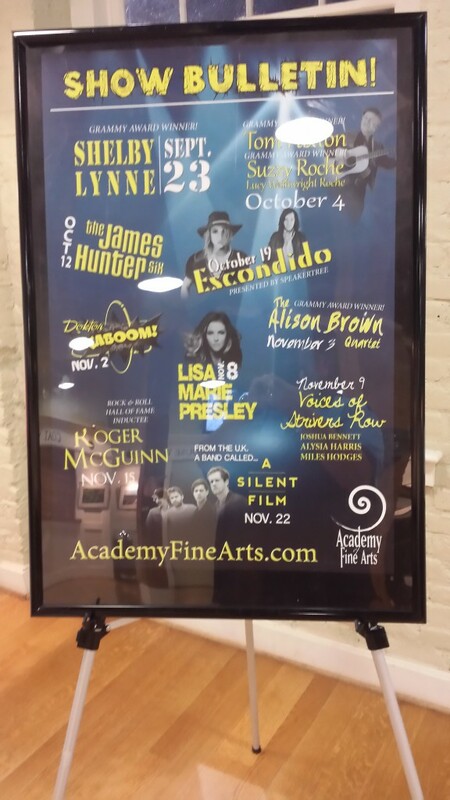 I’m a “Liner” now….awesome site! Count me in as a “Liner” too. Yep me too. Good job Mr. J.C.
Makes me want to go see these performers for sure, now! Sweet! All upbeat & positive, hard to find in this old world today…..